What are accreditors, government policymakers, and other stakeholders looking for? For years the buzzwords have been “assessment” and “improvement.” In this webinar, Linda Suskie will introduce you to a simple but broader framework for understanding calls for demonstrating quality, based on five cultures: relevance, community, focus and aspiration, evidence, and betterment. Why does Linda talk about evidence and betterment rather than improvement and accountability? How can her new framework help your institution demonstrate its quality? What practical tips does she recommend? View this webinar and find out! 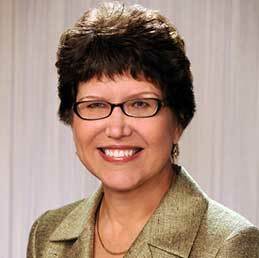 Linda Suskie, former vice president at the Middle States Commission on Higher Education, is an internationally recognized consultant, writer, speaker, and educator on a broad variety of higher education assessment and accreditation topics. She holds a bachelor’s degree in quantitative studies from Johns Hopkins University and a master’s in educational measurement and statistics from the University of Iowa. Her latest book, Five Dimensions of Quality: A Common Sense Guide to Accreditation and Accountability, is being published by Jossey-Bass in October 2014.